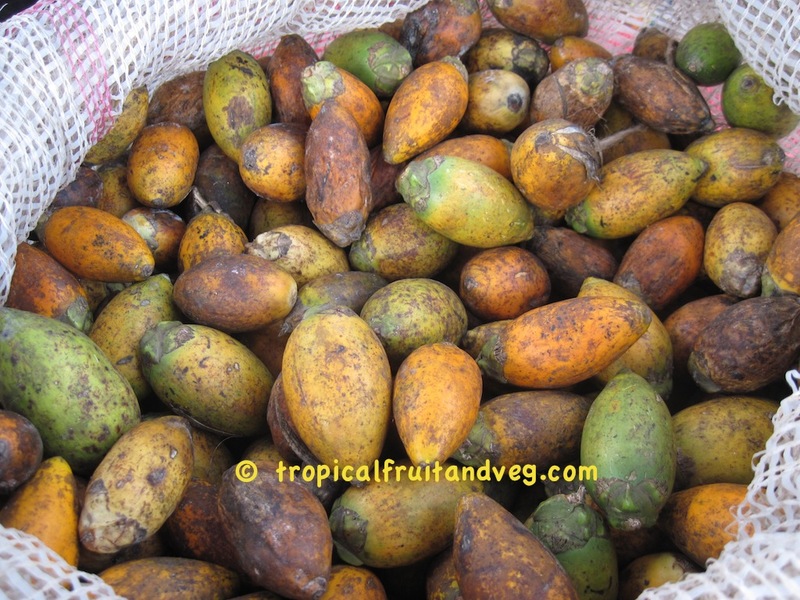 Betel nut comes from the betel or areca palm which grows to about 3 to 5 m tall. The branches grow 3 to 4 m long and the betel nut grows at the base of the branches in clusters of 50 to 100. Betel nut is carcinogenic and chewing it (usually with betel leaves) is known to cause mouth and throat cancer with prolonged use. 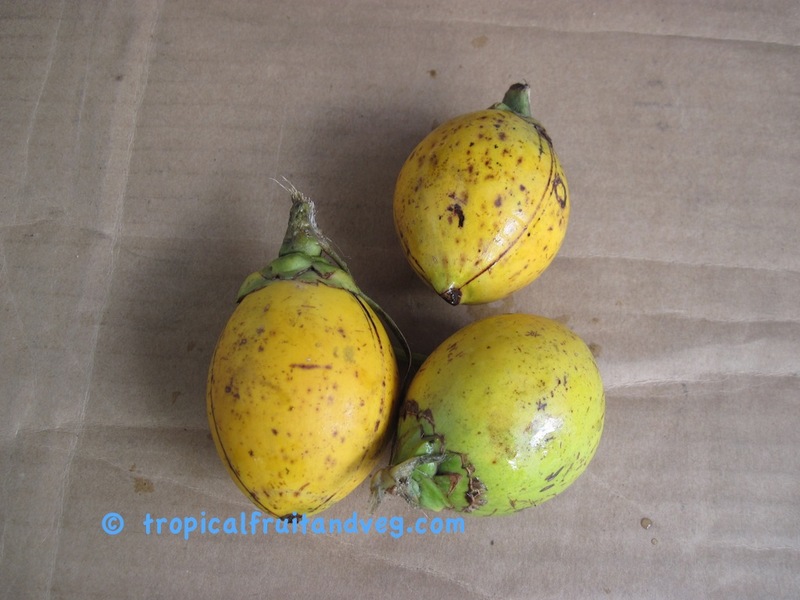 Betelnut require sunlight and moisture. Lack of sunlight will encourage the tree to grow tall and spindly and will take longer before flowering. 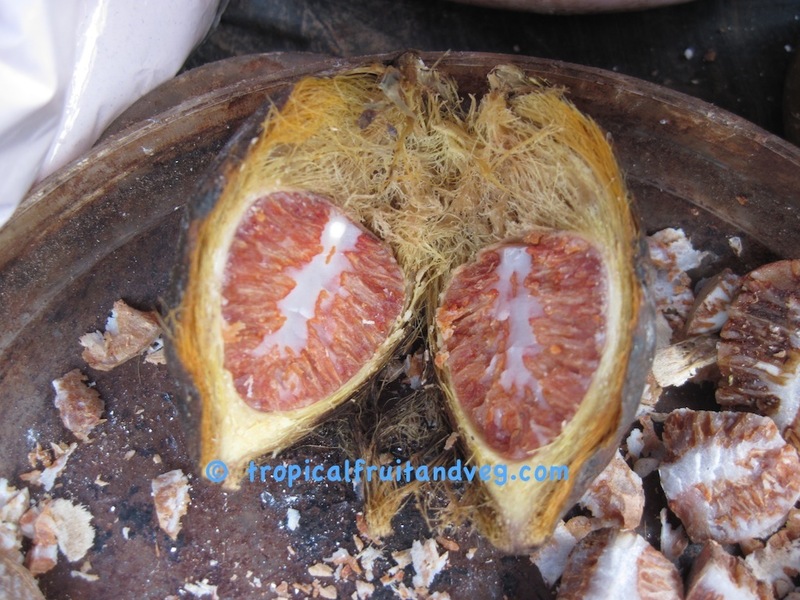 Under normal native climatic conditions it should flower and fruit within 4 to 7 years. 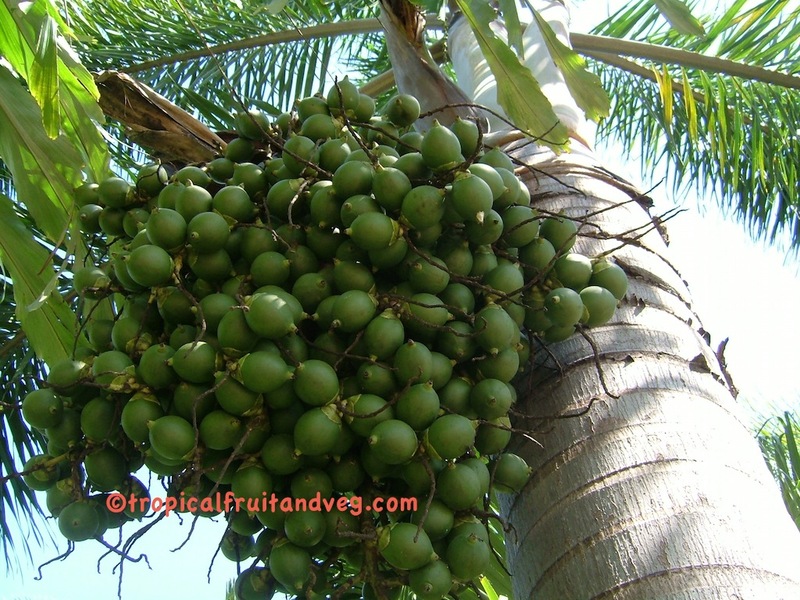 Betelnut as with all palms require a well draining soil.